A lot is made of the fourth "C"- Cut- nowadays- and with good cause. 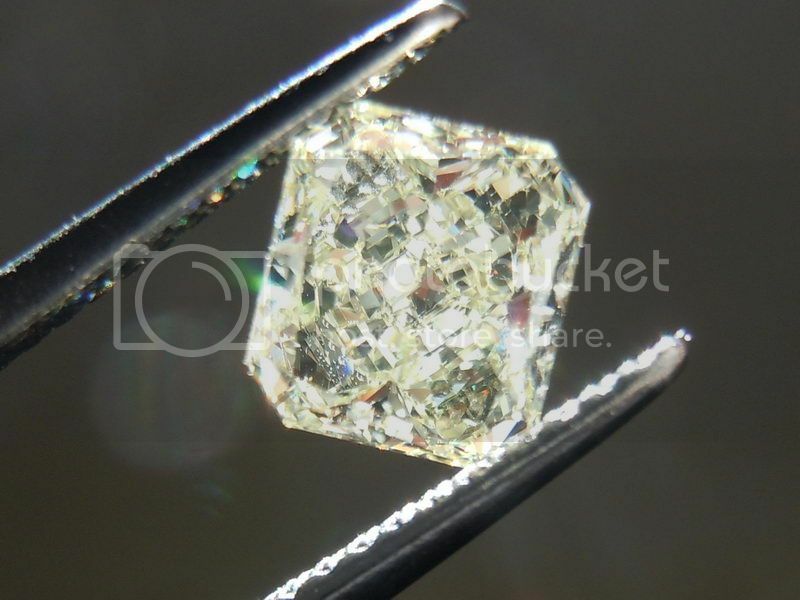 The manner in which a diamond is polished really affects how it looks. 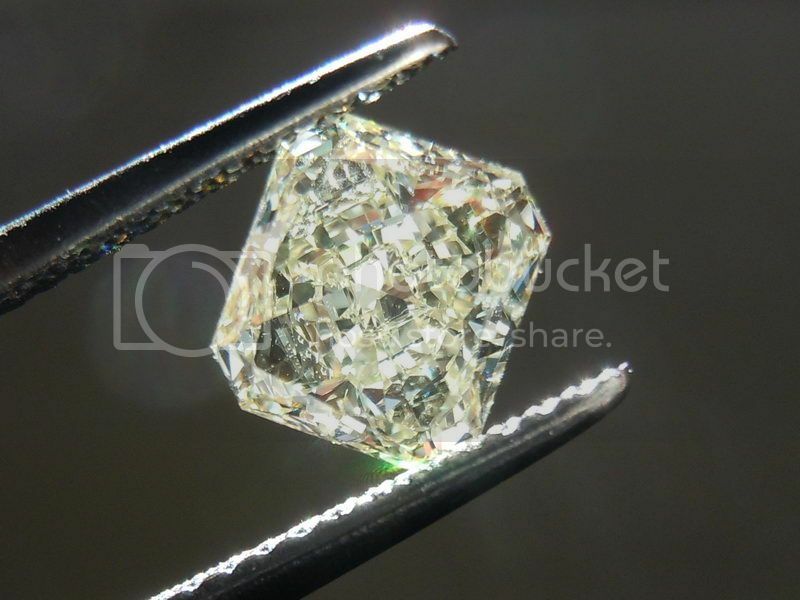 GIA grades the cut of Round Brilliant Diamonds- which certainly simplifies things for buyers. 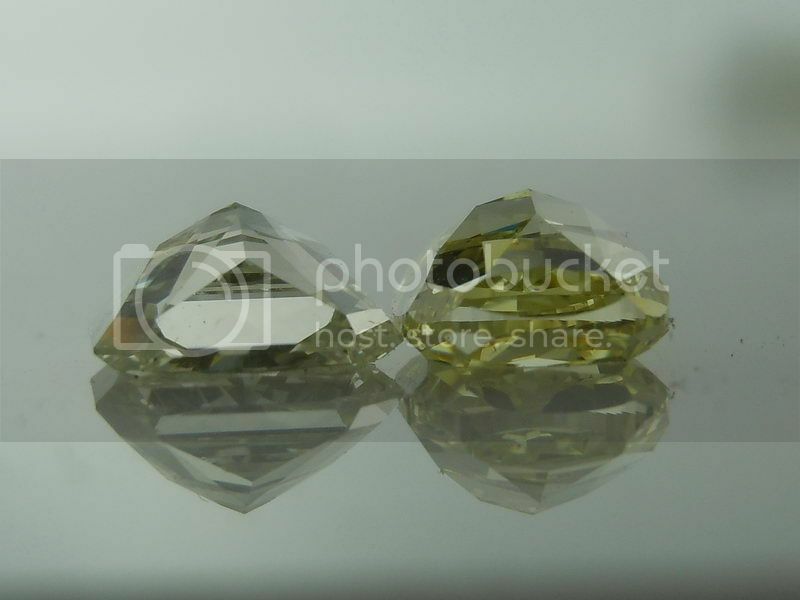 Part of the reason is that there's so much variation within each of the shapes- unlike round, which is fairly standardized there's a huge variety of shapes that comprise "radiant cut". Shape- that means LxW and the size of the corners- are only one aspect we need to look at. 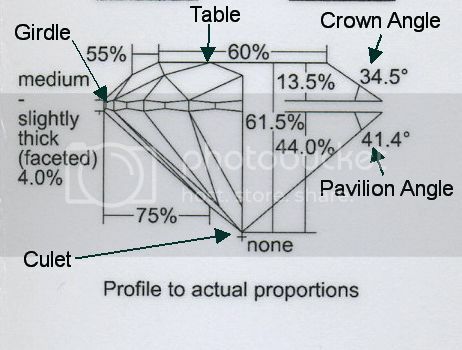 We also need to look at how deep the diamond is, how large the table is ( that's the large flat facet on top)- and the crown and pavilion angles. 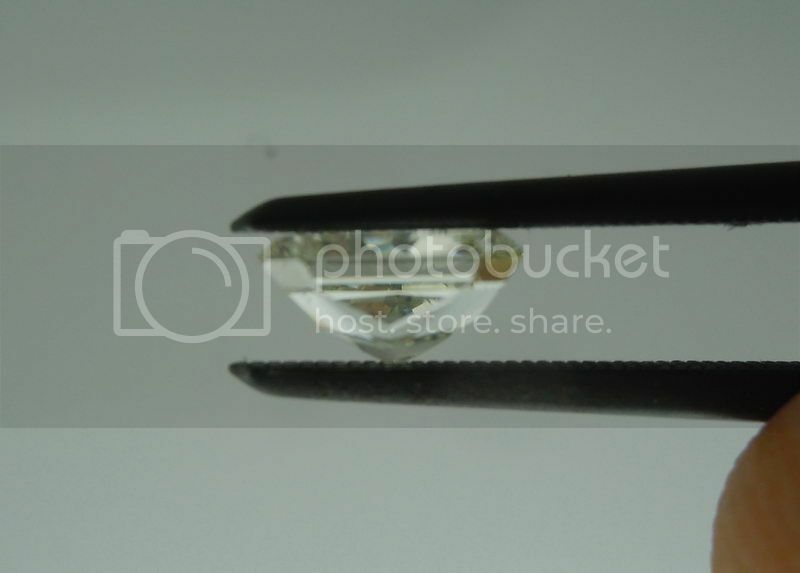 it might have been a very shallow piece- or this diamond was a piece sawed off the top of an octahedron. The stone they came up with made excellent use of the rough- I'm sure they lost a far smaller percentage than the stone I used for comparison. 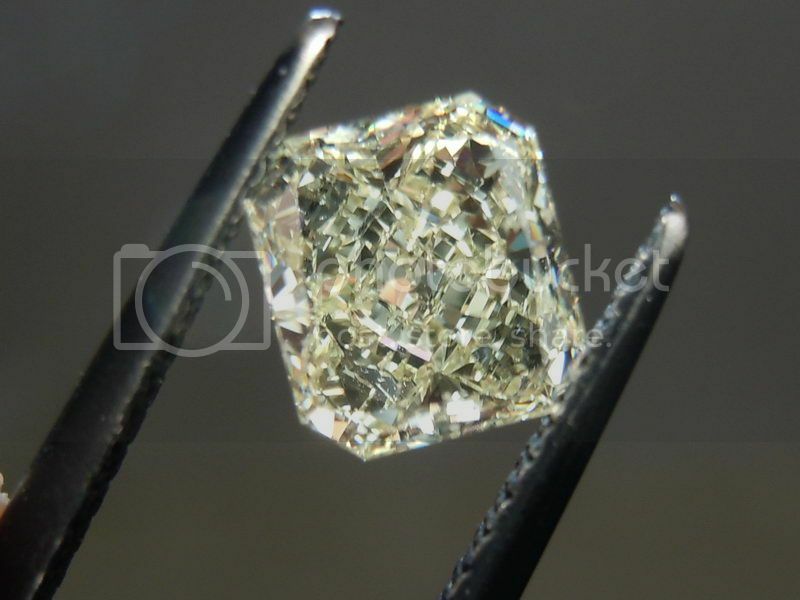 Say you start with a piece of rough diamond that weighs 1.65cts- that might polish out to a 1.00ct diamond. You'd expect there to be some penalty visually for this. 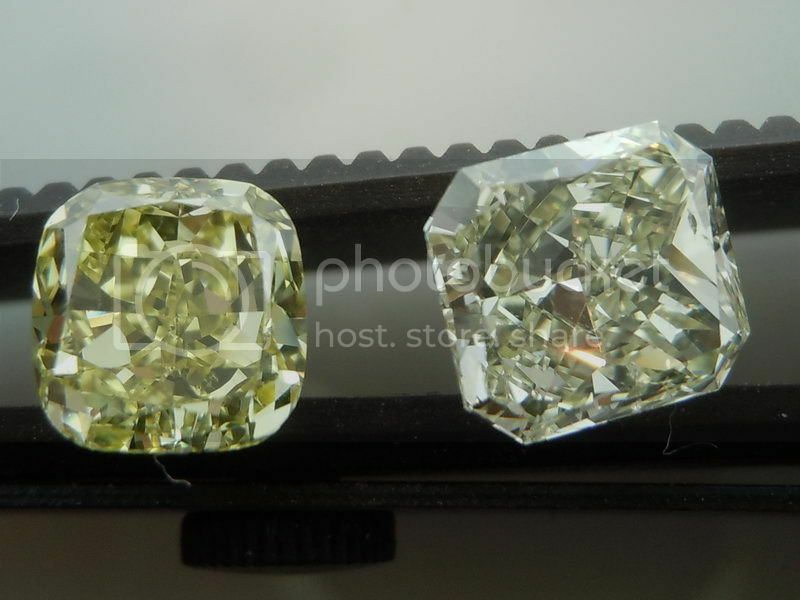 On many fancy shaped stone, crown height- expressed as a percentage- is sometimes considered. 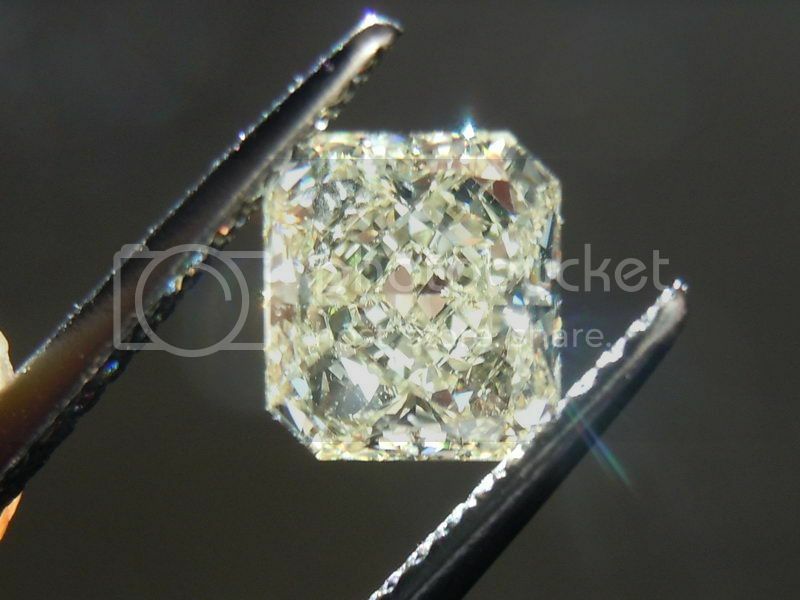 There certainly is a price for the cut- and it benefits you financially. 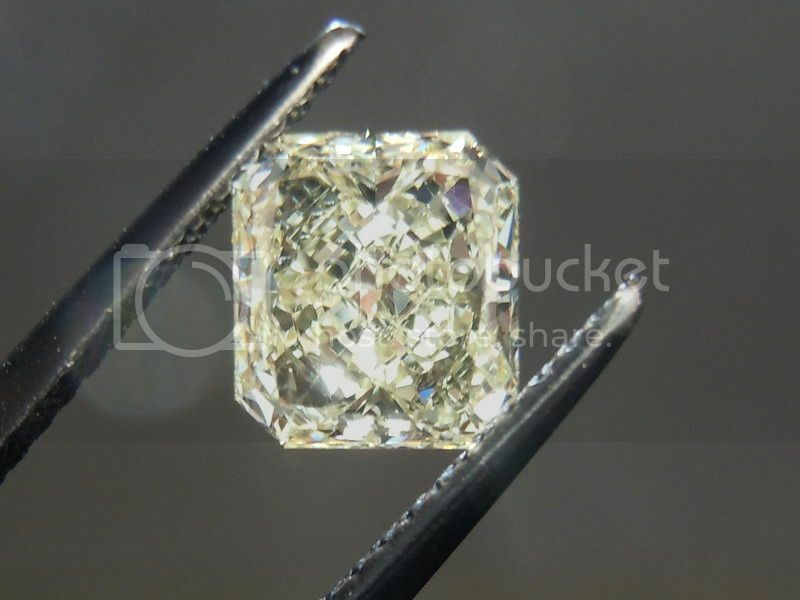 This is a one carat stone, that looks like a carat and a third- yet costs like a 3/4ct. 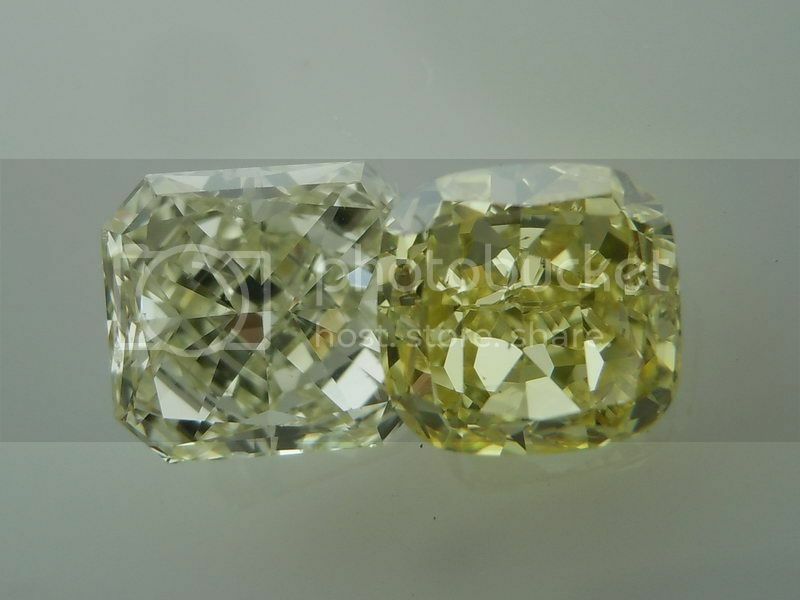 This is a very lively stone- with a pleasant light return and fantastic size for it's weight.